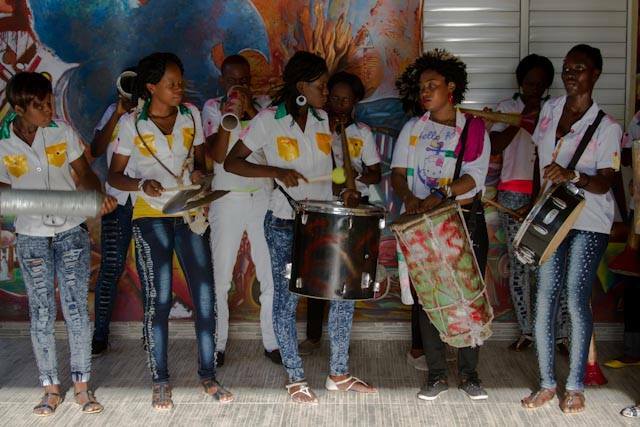 Rara, the essential roots music of Haiti, is a highly seasonal expression of vodou culture that traditionally takes place only in the equivalent of lent, between Madi Gra (kanaval) and Easter. During this time, rara groups, generally but not always associated with vodou temples, march out into the countryside (and, in the urban context, the city) on long pilgrimages, paying their respects to local vodou priests, and also to the lwa, the spirits, and to departed friends and family members. Rara is also indissoluble from Haiti’s revolutionary identity; the country took its independence in 1804 in the only successful slave revolt in history, said to have been planned and launched at the vodou ceremony of Bwa Caiman. At Bwa Caiman, the disparate enslaved nations of Africa united both actually and spiritually, and the revolutionary forces then marched out as a rara, announcing themselves with the blast of a conch shell, which in many places remains the traditional rallying call of the rara. Raras have traditionally been all-male, but in recent years several all-women bands have formed, including Forever Rara Fanm, an offshoot of legendary Bel-Aire rara Forever. 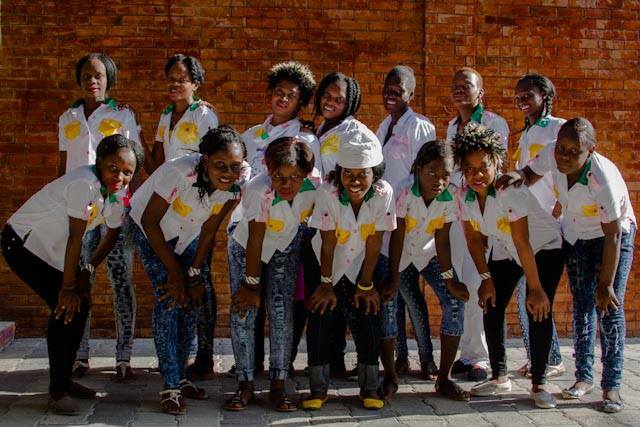 As part of an evening of Haitian culture presented during the Ghetto Biennale at peristil Na Rive, Forever Rara Fanm performed the songs heard in this recording.